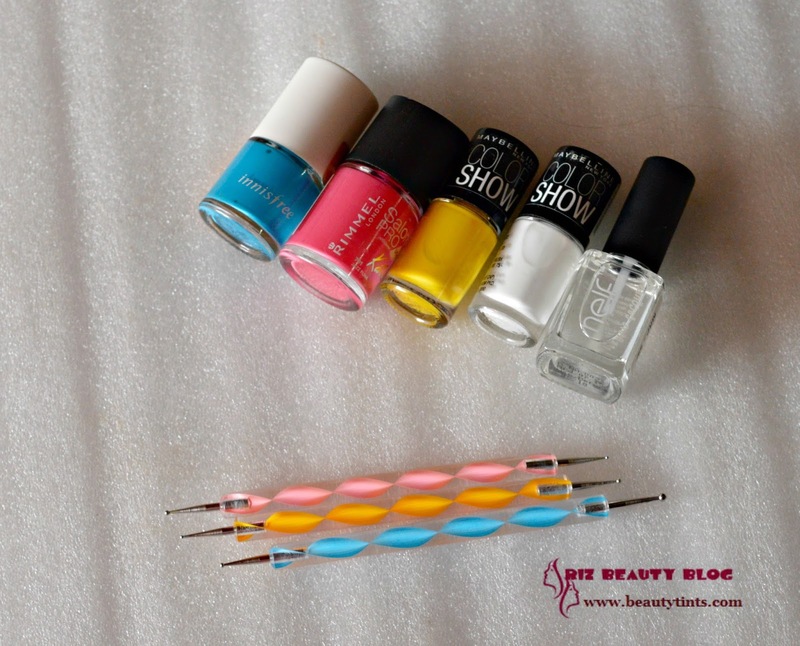 Sriz Beauty Blog: Simple Nail Art with Dotting Tools!!! 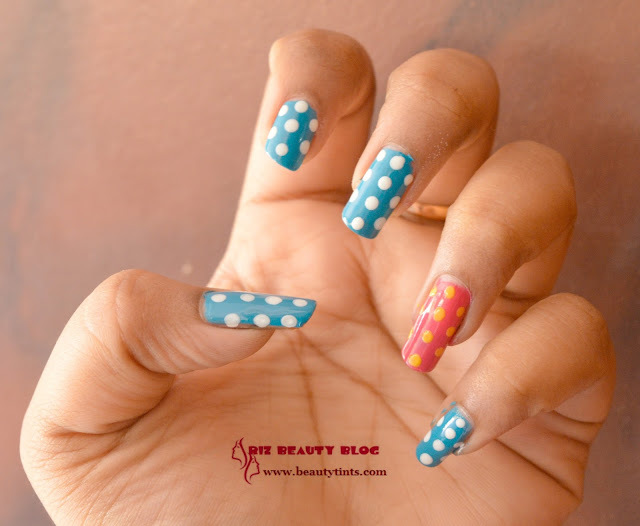 Few days back I have shared a picture on my Instagram (sriramani9) of my nail art trail with dotting tools which I shopped from Dresslink.com, and few of you requested to do a tutorial post on it.So,I am showing you how to do that Simple Nail Art with basic Dotting Tools,in this post.You can also use bobby pins for doing it. 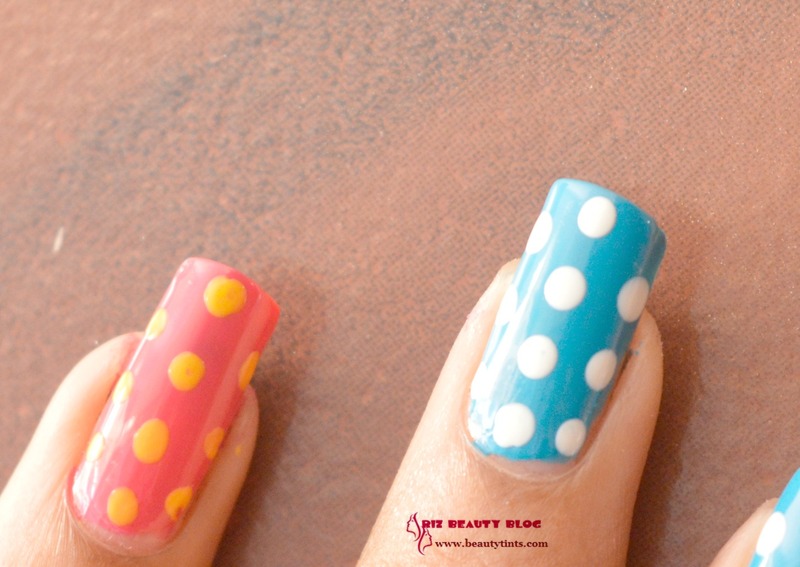 This is a very simple one which requires a couple of nail polishes, a top coat and dotting tools or bobby pins! 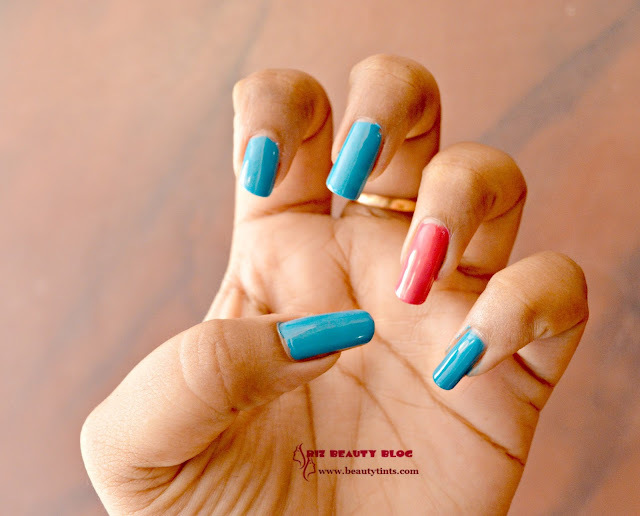 Step 1 : Choose a bright color nail polish like pink or blue.Paint your nails with any one of them.I painted all fingers except ring finger using a blue color nail paint from Innisfree and ring finger with a Bright pink color from Rimmel London! 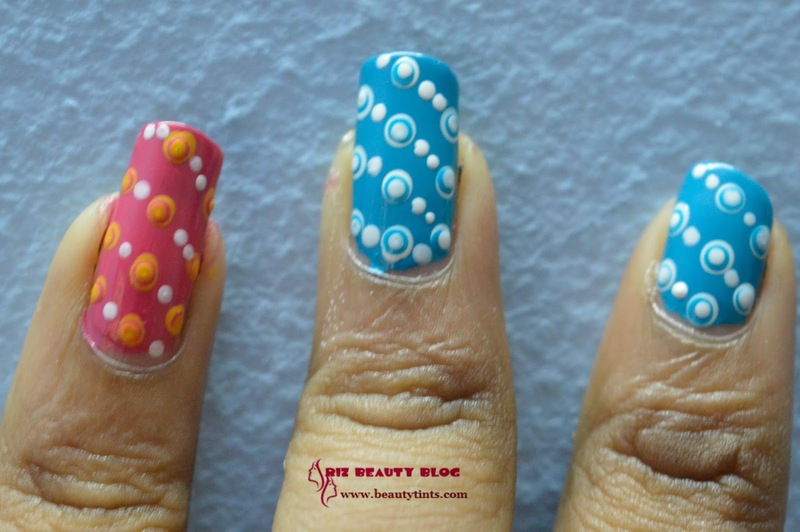 Step 2 : Now with a contrasting nail paint like white or black or purple or yellow,With the help of dotting tool (preferably bigger size) make dots in a pattern shown below! Step 3 : Then with the same colored nail paint,which we used to paint fingers in Step 1,make small dots in the center of the each dot made in step 2,using a fresh dotting tool (smaller size). 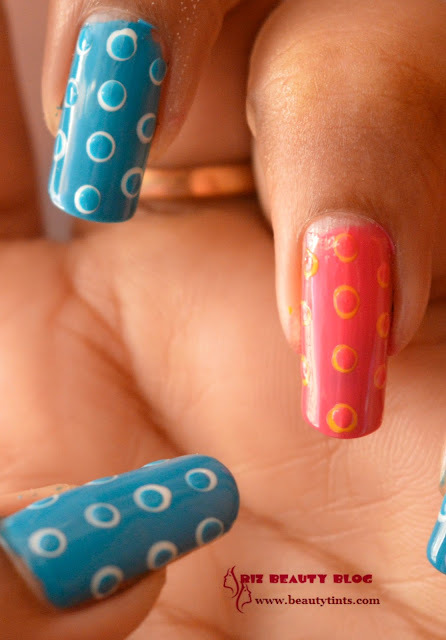 Step 4 : Repeat the same process as Step 3 but with other nail paint and a bit smaller dotting tool. Step 5 : Fill the gaps by painting small dots with white nail paint. 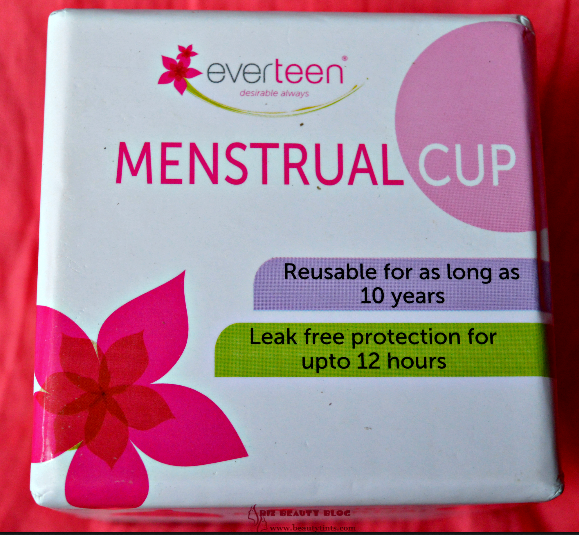 Step 6 : Finish off with a shiny top coat!!! 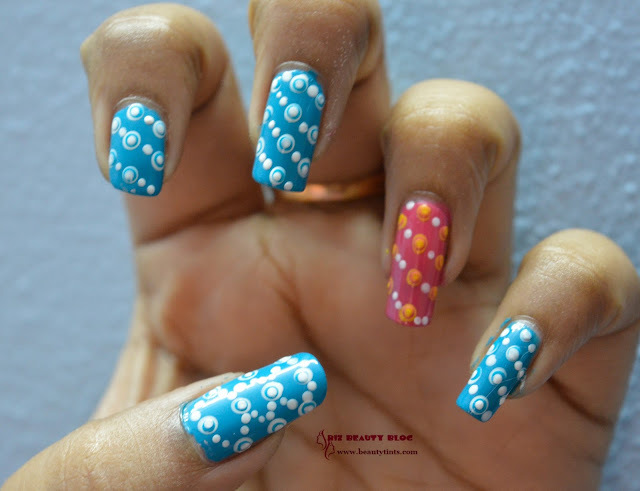 Hope you like this nail art...Please comment below and let me know your thoughts on this!!! 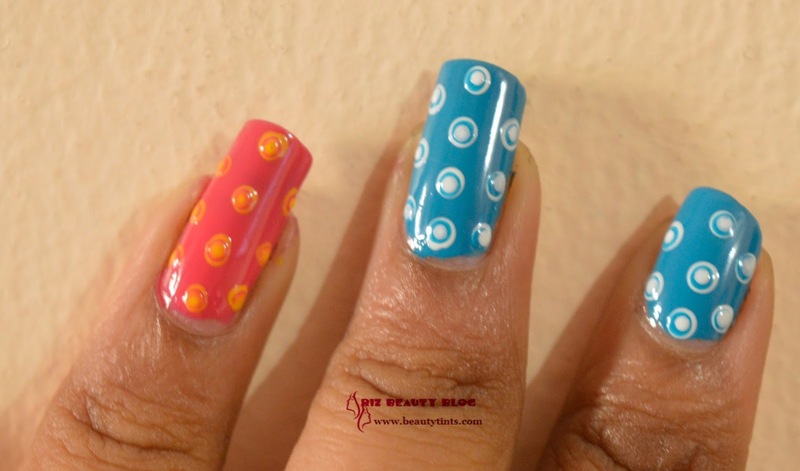 Also check out other nail art posts!! !